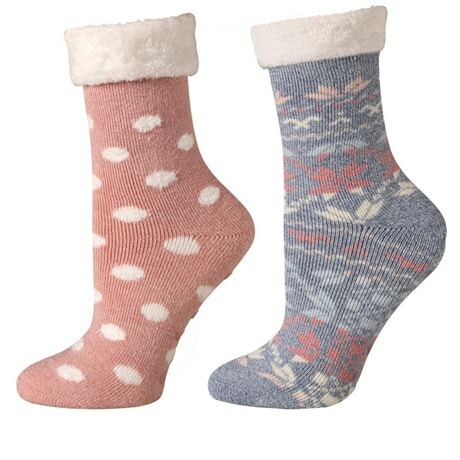 Put on plush, warm knit slipper socks and wear them around the house. One size fits most women up to size 10. 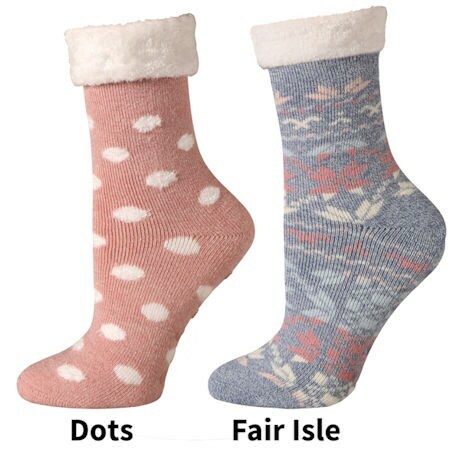 These socks have a low profile toe seam and a fully fashioned heel, so no spinning on feet. Fun prints enhance the winter feel. Rubberized traction dots on the bottom help with sure footing around the house. Fold over fuzzy top reveals the plush interior. Ribbon bow included for easy gift-giving!